1946 (Sept): C.N.C. 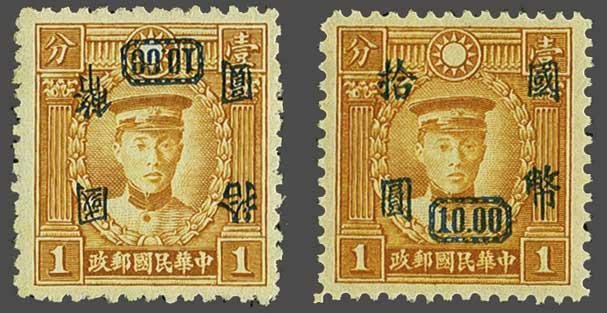 Surcharge $ 10 on Martyr 1 c. orange, a fine unused example with variety "Surcharge Inverted" without gum, and a fine unused example with variety "No Secret Mark", fresh and fine, large part og. Scarce Gi = £ 200.